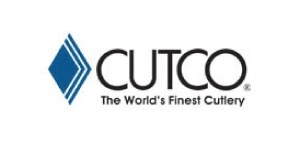 Fall in love with the superior quality, craftsmanship, balance and hand-perfect fit of Cutco. Every Cutco tool is produced to last forever and is worthy of the unique Cutco Forever Guarantee. Products range from Kitchen Knives, Flatware & Accessories to Hunting & Fishing Knives, BBQ tools, and Garden implements. CUTCO is pleased to offer 20% off their exclusive Forever-Guaranteed line of Kitchen knives, BBQ tools, Fishing & Hunting knives, Garden tools, and Kitchen accessories. Not sold in stores.